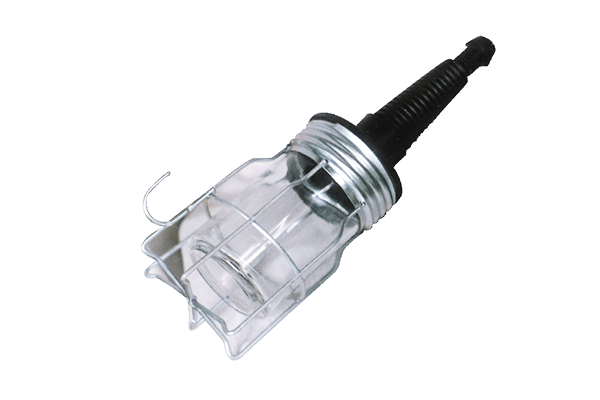 1411 Wooden handle and MS galvanized wire guard with porcelain BC lamp holder, suitable up to 100W lamp. 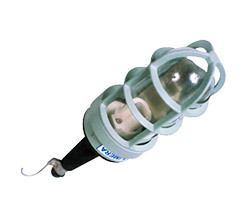 1412 Rubber handle with glass and MS galvanized wire guard with bakelite BC/ES lamp holder suitable up to 60W. lamp. 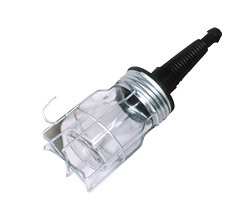 1414 Rubber handle with die cast Aluminium protective wire guard with U shape clear glass and Aluminium body for fixing porcelain BC / ES lamp holder and connector. Rubber gasket for glass. Water tight and weather proof, suitable up to 100W. 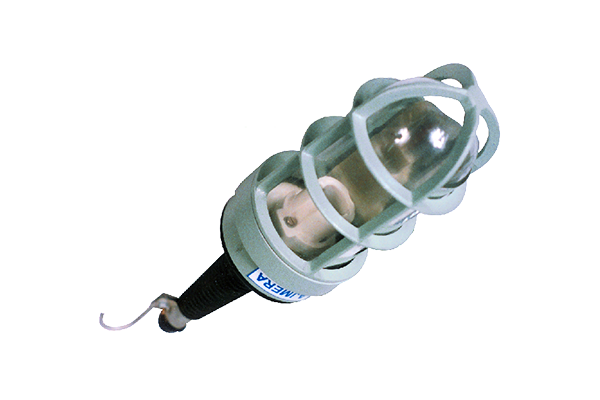 lamp, and also available with reflector as per requirement.